Q. It's great that the sofas have moved - much less crowded now! 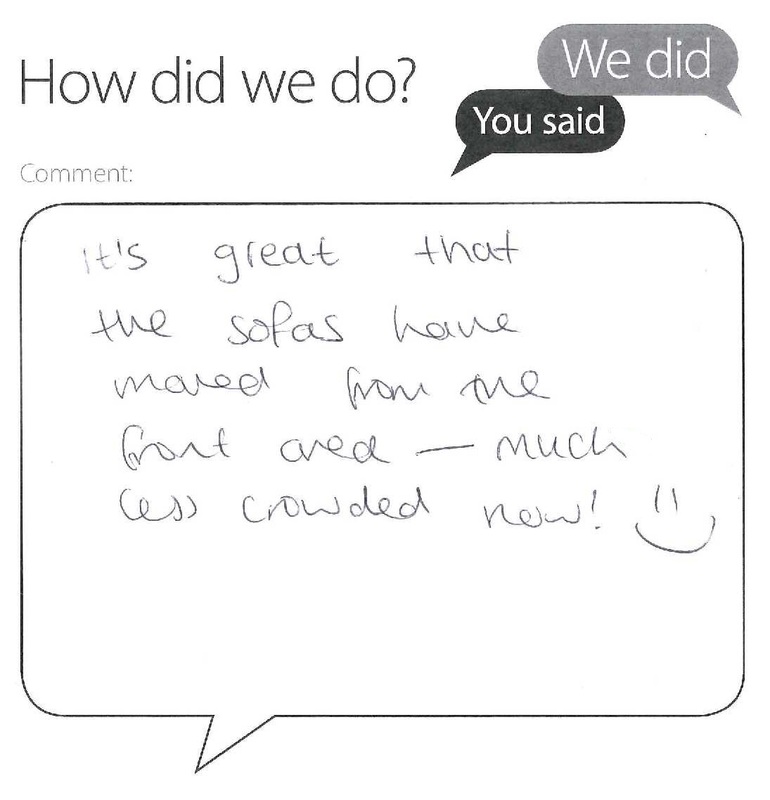 Thanks for your comments on the Level 2 sofas. I totally agree that it feels much less congested in that area now but we have, as I’m sure you’re aware, had other feedback from some users who think we should put the sofas back. We are going to leave things as they are just now and take a final decision by the end of Independent Learning Week.